Family Legacy has another amazing story to share about a truly wonderful caregiver in our community. 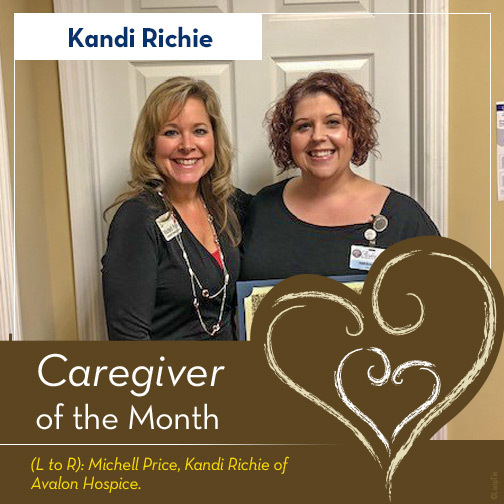 Please join us in congratulating Kandi Richie of Avalon Hospice for being chosen as Caregiver of the Month! Kandi Richie is a RN Case manager at Avalon Hospice. Kandi takes pride in caring for her patients and families. Kandi has so much compassion and love towards caring for others. When Kandi goes into a home she sits and listens to every patient and family member’s needs and displays love and affection but also time. 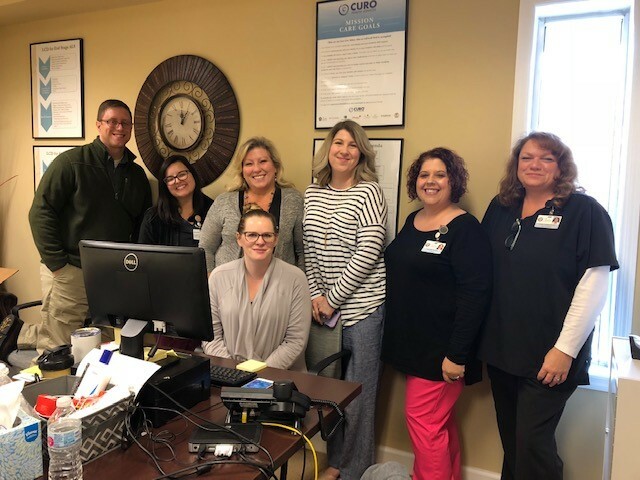 For example, Kandi went into a home when a patient was passing and provided loving care to the patient by talking to the patient softly and making sure she had enough medication for comfort. She displayed love and affection towards the family and stayed with the patient until they had passed. She always answers questions and makes sure her patients are comfortable and never rushes from a home and takes her time with each patient and family. Through her appreciation, patients and family members always try to give Kandi items such as fruit, vegetables and other sweets for her compassion. Kandi always has a smile on her face and makes patients and family members feel good no matter how her day is, and believe me, she has some rough days. This is why I want to nominate Kandi Richie.